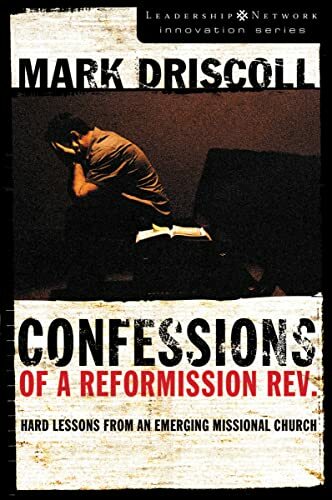 I have just finished reading Mark Driscoll's new book, Confessions of a Reformission Rev., and found it to be fantastic. I have been a fan of Driscoll's for some time now as I think his perception of who and what an Emerging Church should be is very similiar to my own. This book in particular really helps to define some biblical paramaters for "doing" church and is a book that I highly recommend. I had moments in this book where I could not stop laughing, in fact I cried because I laughed so much. Beyond the humor, however, this book is wonderful in that it doesn't try to glamorize Driscoll, or Mars Hill. Rather, it tries very hard to be transparent and honest about what it means to pastor and lead a growing church. I apreciated his attempt to let us see his failures as well as his successes. There are occasional moments, as with almost any book, where I wasn't in complete agreement with Driscoll but the issues were not of great significance, in my opinion. If you haven't gotten a copy of this book, you need to as soon as possible. I highly recommend this book.